To put simply, there is a lot of shonen manga out there. The genre is one of the industry’s most popular, and readers of all ages eat up its action-centric stories. When it comes to shonen, readers can get their fix pretty easily, but few magazines are as popular as Weekly Shonen Jump. The publication got its start in August 1968 under Shueisha, and it has since become a powerhouse of manga readership. Many of the industry’s biggest series got their start at Weekly Shonen Jump, and its declined readership has not prevented it from housing newer top-tier titles. From Dragon Ball to My Hero Academia, the manga and anime fandom owe plenty to Weekly Shonen Jump. So, ComicBook is here to breakdown the magazine’s top ten franchises of all-time. You can learn more about the publication’s must-read series in the following slides! Did you favorite series make our list? Let me know in the comments or hit me up on Twitter @MeganPetersCB to talk all things comics, k-pop, and anime! Our first title takes fans back to the 1980s when manga was all about big hair and even bigger muscles. In 1983, Tetsuo Hara and Buronson came together to create Fist of the North Star, an epic title that delved into one martial artist’s violent life. The series ran 1988 after 245 chapters were released, and it is considered a classic shonen title by most manga lovers. The series tells the story of Kenshiro, a human warrior who lives after a nuclear war ravaged the Earth. The man is trained in the art of Hokuto Shinken, a secret and deadly martial arts style which uses anatomical vital points to kill opponents. Kenshiro uses his rare skill to take down corrupt ravagers who prey on Earth’s weak survivors, and he finds himself at odds with classmates from his former training school. There are few things which bond people together like sports, and the shonen genre knows that very well. 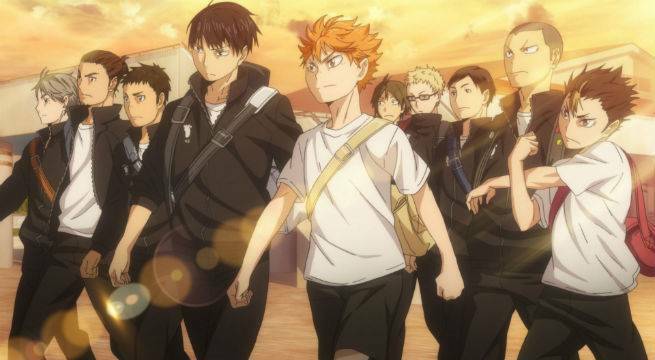 Over the years, dozens of sport-centric series have been released, and Haikyu!! is one of the genre’s shining stars. Its colorful cast and charismatic leads are ones you just have to stan. The manga made its debut in Weekly Shonen Jump under Haruichi Furudate in 2012. The title, which is still being published, tells the story of Shoyo Hinata. The short boy loves volleyball, but he is often overlooked because of his height. When he enters high school, Hinata tries out for Karasuno’s team, but he is thrown off when his rival Tobio Kageyama does as well. The pair discover they can pull off a near-invincible play when they work together, and the series follows the entire Karasuno team as it tries to regain its former glory. JoJo’s Bizarre Adeventure is pretty — well — odd. The story was created by Hirohiko Araki back in 1987, and Weekly Shonen Jump housed it for much of its run. The series finally upped its age group n 2005 when Shueisha’s Ultra Jump began publishing the title for seinen readers. However, the title is still considered a shonen classic amongst fans. The franchise is a bit hard to explain, but that is because it is split into eight parts. JoJo’s Bizarre Adventure tells the winding story of the Joester family, a clan who is destined to fight all sorts of supernatural begins. Each part follows a different member of the Joestar brood throughout time, and its timeline kicks off in the 1880s with some street thugs and vampire. You cannot talk about popular sports titles in manga and not mention The Prince of Tennis. The series, which was created in 1999, is all thanks to Takeshia Konomi. The shonen title was serialized in Weekly Shonen Jump until 2008, and its sequel is housed under a new magazine with the same publisher. You can probably guess what The Prince of Tennis is about. The series is set in Tokyo and follows a prodigal athlete named Ryoma Echizen. The boy attends a school known for its tennis club, and Ryoma quickly secures a regular spot on the group. Determined to win the National Middle School Tennis Championship, Ryoma partakes in dozens of matches to hone his skill and learns how the sport has influence him. Death Note may look too dark to be considered shonen, but the supernatural thriller is a vetted member of the genre. Weekly Shonen Jump published Takeshi Obata’s series back in 2003 until it ended several years later. With 12 volumes to its name, Death Note is one of the magazine’s shortest complete series, but that has made it no less popular. Death Note follows a student named Light Yagami after the high schooler stumbles upon a death note. The book, which is watched over by a shinigami, gives its owner the ability to kill anyone whose name is put in its pages. 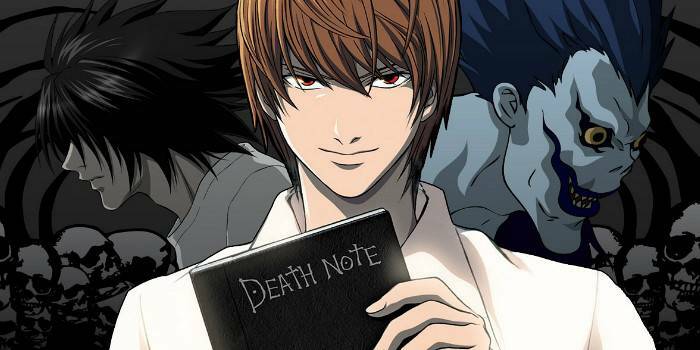 Light intends to weed out corrupt criminals with the book, but he gets drunk on the death note’s power. But when a prodigal detective named L and his team are tasked to stop Light, things get messy real fast. When you think of Weekly Shonen Jump, Son Goku may be the first character who comes to mind. The hero is a truly international star as Dragon Ball launched Goku and his crew back in 1984. Creator Akira Toriyama published his fan-favorite series with Weekly Shonen Jump until 1995, and Dragon Ball was split into two acclaimed anime titles. Dragon Ball is nearly 520 chapters, and it follows the life of a boy named Son Goku. The series, which is loosely based on Journey to the West, follows Goku as the young boy trains in martial arts and searches his world for seven mystical items called dragon balls. However, as Goku gets older, he learns he is really a warrior from the Saiyan race. The discovery pushes the hero to train even harder and become the strongest fighter in the entire universe. My Hero Academia is one of Weekly Shonen Jump’s newer series, but its popularity is equal to plenty of veteran titles. The manga debuted back in 2014 under Kohei Horikoshi, and it still has a long way to go. With 16 volumes under its utility belt so far, the hero-centric series is poised to become the next big shonen classic. The manga is set in a world where superheroes are the norm. Most of the population is born with powers known as Quirks, but Izuku Midoriya is not one of those gifted individuals. The boy wants nothing more than to be a hero, so when the world’s top superhero shares his Quirk with Izuku, he is thrust into a whole new world. But, if he wants to become a full-fledged hero, Izuku needs to enroll in a high school for heroes-in-training. Shonen fans should be vey familiar with Yoshihiro Togashi. The manga creator hit it big with Yu Yu Hakusho back in the day, but his on-going work with Hunter x Hunter is hard to top. The new series debut under Weekly Shonen Jump back in 1998, and fans are excited every time a new chapter drops. Hunter x Hunter is set in a world where Hunters are tasked with doing lots of dangerous tasks. A boy named Gon Freecs is determined to become a top Hunter to find his father, but he must become licensed first. 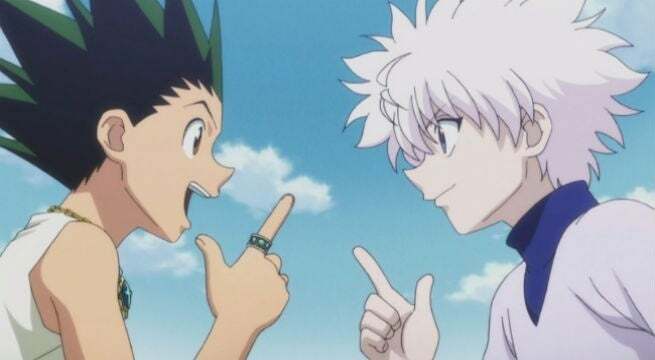 On his way to become a Hunter, Gon creates a squad of his own before passing the exam, but the hero learns the test was perhaps the easiest part of his journey. Naruto is not series which other manga can easily compete with. In fact, few shonen titles have reached its level of international popularity. The series, which was created by Masashi Kishimoto, debuted back in 1999 before ending in 2014. The action-adventure series introduced fans to a world of ninjas, and its main hero has become a global star in recent years. The manga is set in a world where ninjas exist and undergo missions for their village. Naruto Uzumaki is its main star, and the series follows the eccentric boy as he works to become the Leaf Village’s strongest ninja. Naruto’s dream is challenged at every turn thanks to his orphan status, his (literal) inner demons, and all sorts of bad guys. However, the knuckle-headed hero never gives up on his ninja way. There’s no way around it. One Piece is the biggest manga series in Japan, and Weekly Shonen Jump is lucky to call the title its friend. Eiichiro Oda kicked off the pirate-loving story in 1997, and it is still being serialized. With over 800 chapters, One Piece cannot be beat when it comes to sales or sails. The long-running series tells the story of Monkey D. Luffy, a teenager who wants to be a pirate. Driven and curious, the hero wants to become the King of the Pirates because he loves adventuring. 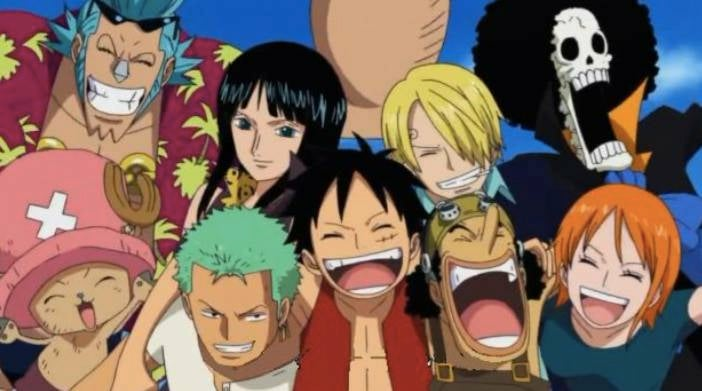 To do so, Luffy sets sail with a growing crew to find a mysterious treasure called One Piece, but the world government and other nefarious pirates never fail to blow holes in his ship.